We awarded $750 to our first recipient, Miss Katelyn Mora, of Centennial High School. Katelyn's dedication to and her love for the game of lacrosse qualified her for the grant which she used to participate in The LB3 Lacrosse Camp Program. 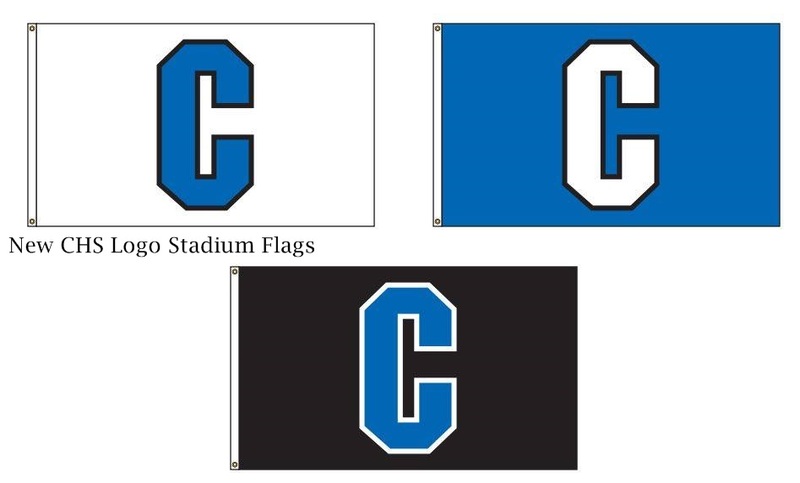 The foundation paid to replace 12 tattered and torn division stadium flags with new stadium flags, containing the new Centennial logo (see pictures below)." the foundation paid to have the wall repaired, hardened and primed and hired a muralist to paint the Centennial lacrosse logo (see pictures below). 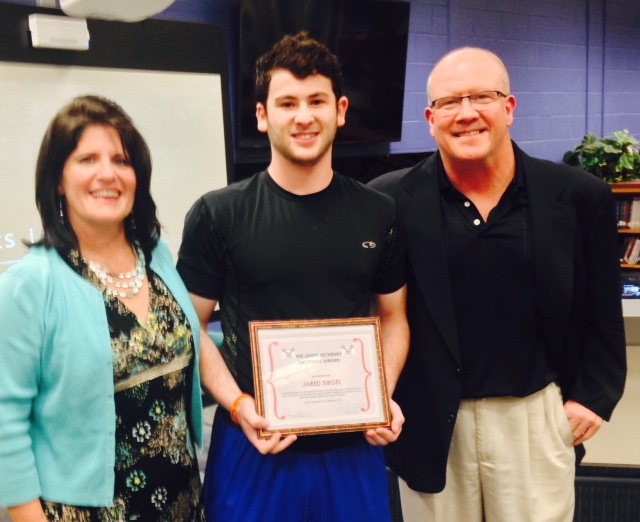 We awarded $850 each to two deserving Centennial High School lacrosse players this year to cover the fees to play. The awards were granted to Zach Levy and Julia Couch for their commitment to and their love of the game of lacrosse. 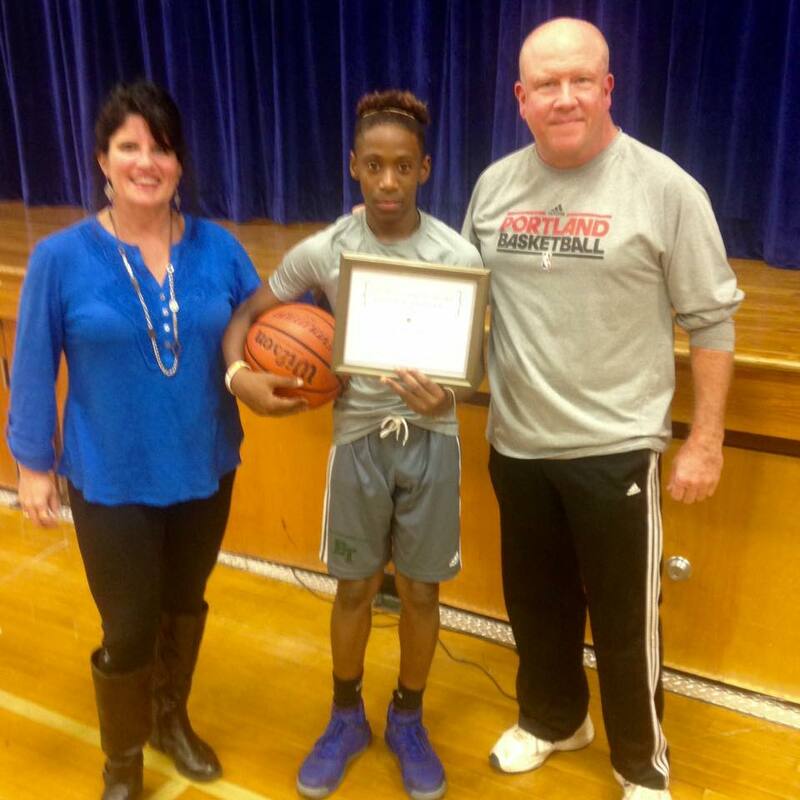 We awarded $460 each to three Junior Knights players this year to cover the fees to play basketball. The awards were granted to Shams Hasan, Freddie Fairley and Mansir Williamson for their commitment to and their love of the game of basketball. We awarded two character awards and a $250 Visa gift card to one graduating 8th grader at Haynes Bridge Middle School, Brett Meskill, and one graduating 5th grader at Hillside Elementary, Samara Saldana. These students were selected by the faculty and staff at their schools based on certain character attributes that Jamie possessed- kindness to others, good sportsmanship, leadership skills and excellence in the classroom. Frank Cecere, Jamie's former lacrosse coach, implemented and created “Team 8”, a lacrosse team to play for and to honor and celebrate the life and times of Jamie McHenry. Frank coached the team along with four high school lacrosse players who served as assistant coaches- Luke Saad, Jared Siegel, Brandon Bierbaum and Eric Cecere. Team 8 consists of a group of talented boys from Georgia and Tennessee in the 2019 and 2020 graduation classes. Year one was a success by all measures: a winning season boasting a record of 8 wins 2 losses, twice finishing runner-up in 2015 summer tournament championship games while earning a spot to participate in the IMG National Lacrosse Championships in Bradenton, FL. Team 8 lacrosse sets itself apart from other club teams with a holistic, positive, and fun approach to lacrosse by celebrating the life of Jamie McHenry and his passion for the sport that gave him so much joy. The 2016 roster consists of 23 carefully selected players who come from 12 different schools in Georgia and Tennessee who love the game, watch it, read about it, and practice it constantly. The Team 8 coaching staff believe that success is born from a passion for what you do and know that both experienced and less experienced players will improve if they're committed to improving at the sport they love. The Jamie McHenry Memorial Foundation covered the two entrance fees of $1400 each for the two tournaments as well as the cost for their uniforms. 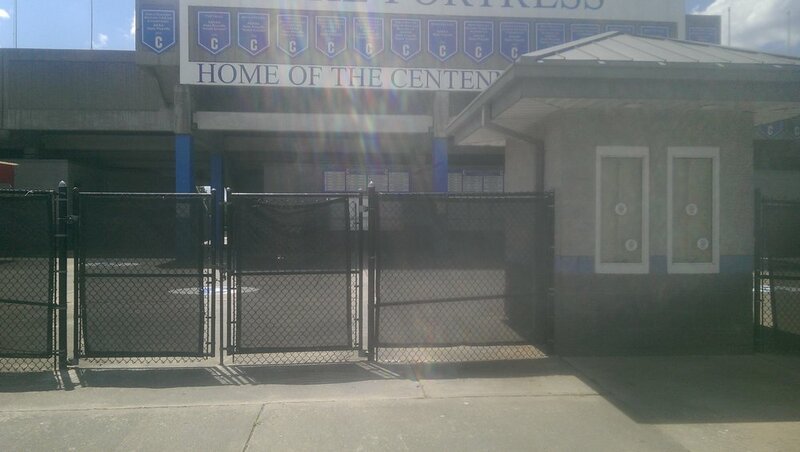 we awarded $850 each to two deserving Centennial High School lacrosse players this year to cover the fees to play. The awards were granted to Jared Siegel and Anna Teffeteller for their commitment to and their love of the game of lacrosse. We awarded two character awards and a Visa gift cards to one graduating 8th grader at Haynes Bridge Middle School, Eleri Floyd, and one graduating 5th grader at Hillside Elementary, Edwin Martinez at the graduation ceremonies on May 23rd. These students were selected by the faculty and staff at their schools based on certain character attributes that Jamie possessed- kindness to others, good sportsmanship, leadership skills and excellence in the classroom. 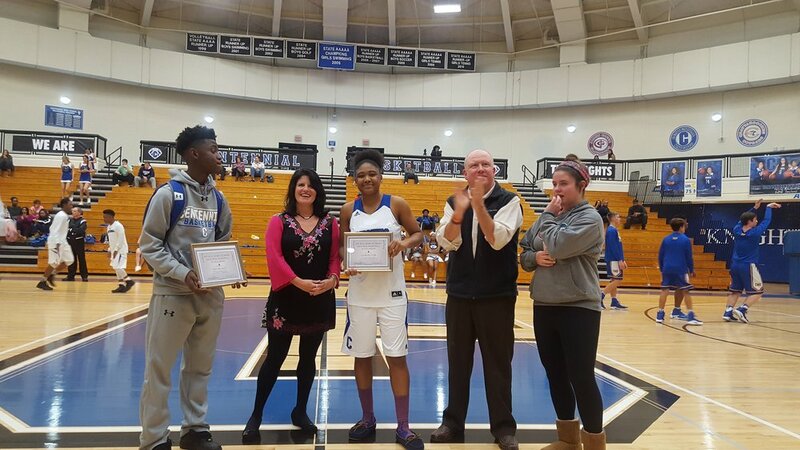 In the fall of 2016, we awarded 2 Jr. Knights and 2 High School Basketball Grants to Makaila Bullock, Jahmir Smith, Jaylen Miley and Lourdes Tyler for their dedication to and love for the game of basketball. The grants paid for their $550 player fees and uniforms. 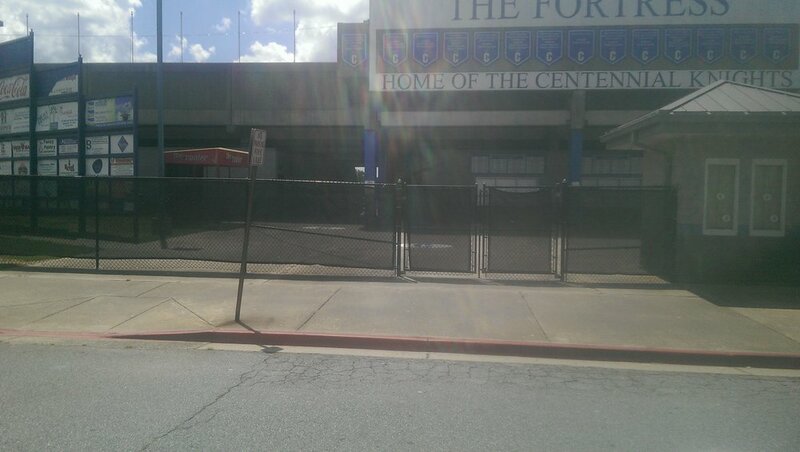 We partnered with The Centennial Booster Clubs and Pellegrom Construction to make some improvements to the entrance to Centennial High School Stadium. The Jamie McHenry Memorial Foundation donated $10,000 to complete the new stadium entrance. See our before and after pictures below!!! 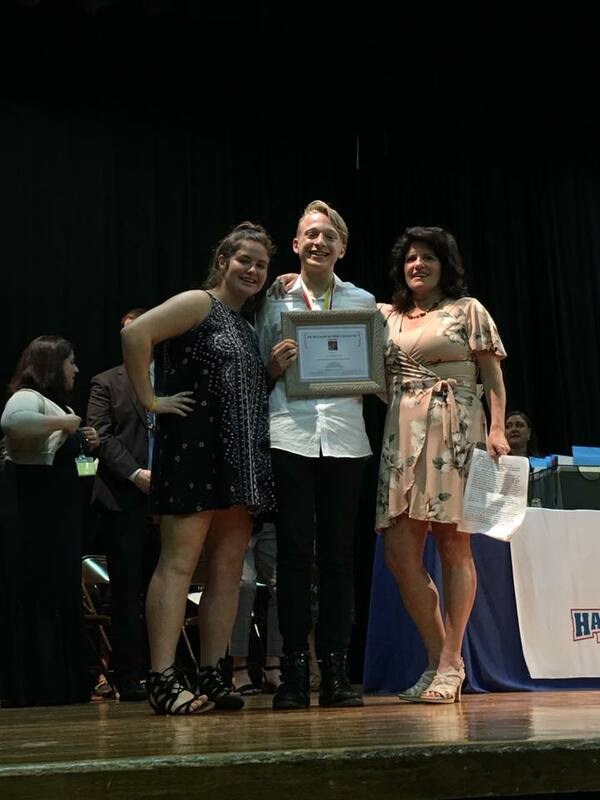 In May, we awarded two graduating students from both Hillside Elementary and Haynes Bridge Middle School with The Jamie McHenry Character Awards. 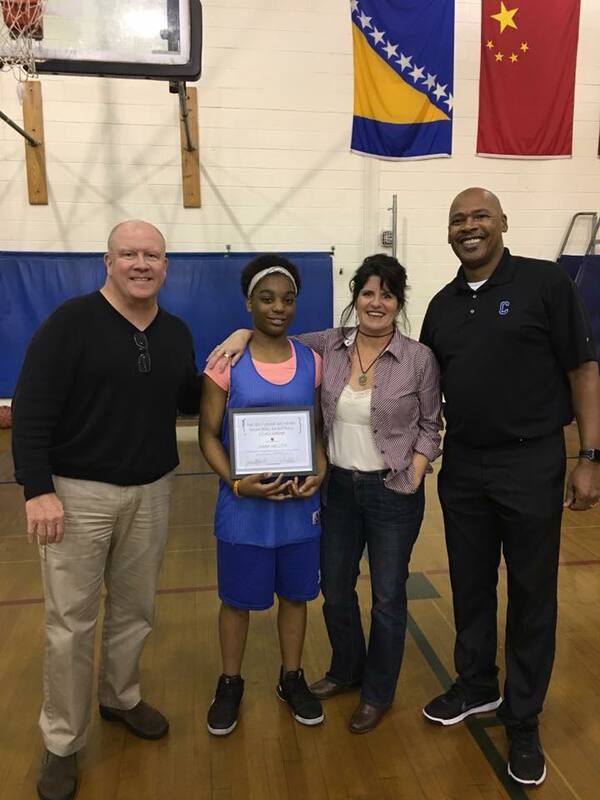 The students were selected by the faculty at the schools based on certain character attributes Jamie possessed, including leadership, being a team player and a good student. The recipients received a $150 Visa gift card for their award. 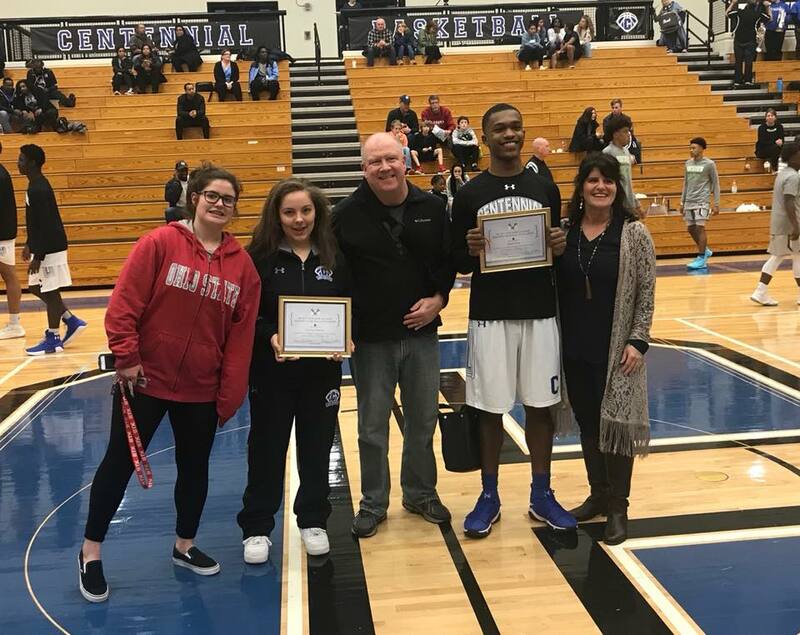 The 2017 recipients were Grace Teter (Hillside) and Kevin Pritchett (Haynes Bridge). 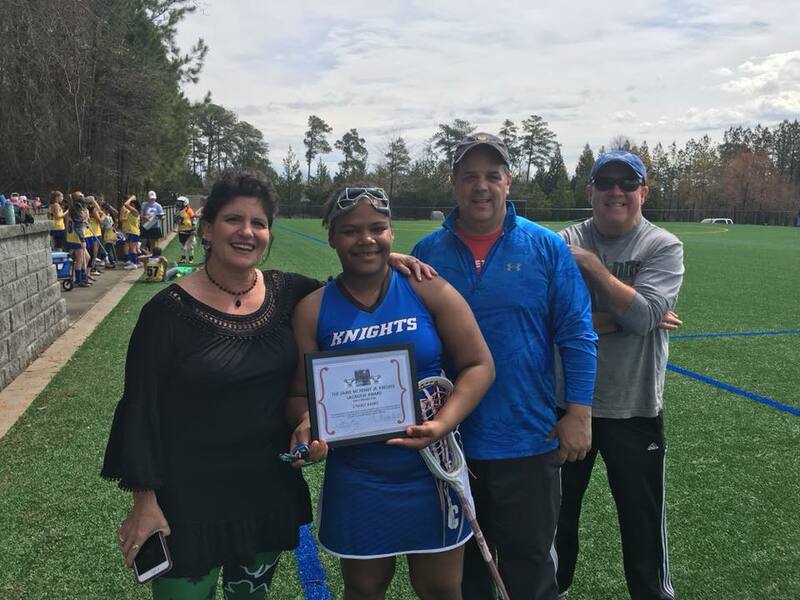 Also in May, we partnered with The Will to Live Foundation to honor a Centennial High School senior lacrosse player chosen by the other members of the lacrosse team to receive a $1,000 scholarship for college, funded by WTL. The 1st Annual Will to Live Life Teammate Award in –Memory of Jamie McHenry was presented to Jamie’s former lacrosse teammate, Mr. Connor Evans. In 2017, The Jamie McHenry Memorial Foundation paid the summer camp fees for two campers to attend the day camp at The Ed Isakson YMCA in Alpharetta. The Jamie McHenry Memorial Foundation also sponsored numerous charities this year including The Will to Live Foundation’s 5k and musical event, Willstock, as well as Tyler’s Way Foundation Tennis Challenge and Angels Among Us Golf Tournament to name a few. What a great year 2017 was for Jamie’s tribute lacrosse team, Team 8!!! Team 8 lacrosse sets itself apart from other club teams with a holistic, positive, and fun approach to lacrosse by celebrating the life of Jamie McHenry and his passion for the sport that gave him so much joy. The 2017 roster consisted of carefully selected players who come from around 14 different schools in Georgia, Florida and Tennessee who love the game, watch it, read about it, and practice it constantly. The Team 8 coaching staff believe that success is born from a passion for what you do and know that both experienced and less experienced players will improve if they’re committed to improving at the sport they love. We are so honored to have these boys represent Jamie on the lacrosse field. June 3-4 - Trilogy Atlanta Tournament Champions - 5 wins 0 losses (2019 Division); Team 8 opened the summer tournament season in impressive fashion with a 5 – 0 record and winning the championship in the 2019 division. June 19-21 Inside Lacrosse Invitational (Towson, MD.) 4 wins 4 losses (2019 Division) – Championship game runner up. Team 8 finished 0-4 in pool play only to win their play-in game to make the 2019 Tournament. They then knocked off No. 1 seed StickStar (Dallas, Texas) in the quarterfinals and then Juiced Cherries White (Michigan) in the semifinal to reach the championship game. Team 8 fell in the championship game, but had put together an incredible run to get to the championship game. June 29-30 Trilogy 24 Tournament (Towson, MD.) 3 wins 2 losses (2019) Division – Quarterfinalists. Trilogy 24 tournament is Trilogy’s premier lacrosse recruiting event in the country. Team 8 players were able to showcase their talent in front of TOP DI, DII, and DIII college coaches. Team 8 finished with a record of 3 – 2 and made to the quarterfinals. October 29 - NXT Southern Invitational (LakePoint, GA.) 2 wins 1 loss (Varsity). The NXT Southern Invitational is an elite high school and club team competition. Teams from all over the Southeast competed in front of the assembled NCAA coaches. 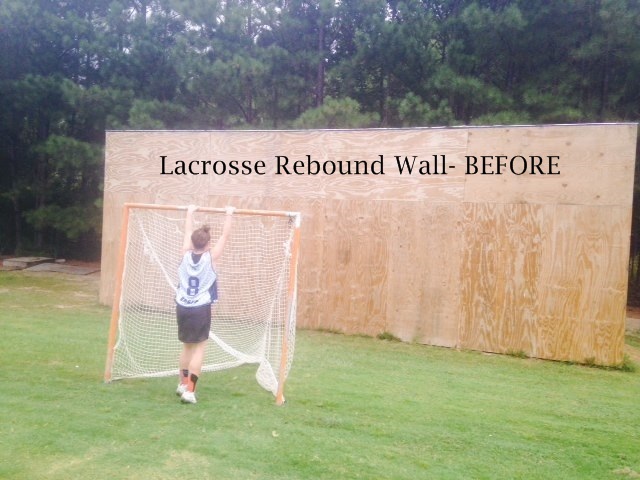 Team 8’s only loss was to a well skilled and well coached Lambert Longhorn Varsity lacrosse team. December 10th – Thunder LB3 7v7 Reindeer Games (Marietta, GA.) 6 wins 0 losses (Varsity Division). Championship Game Winner! Team 8 won most games in impressive fashion and beat Lassiter’s Varsity 8 – 7 in the championship game. Statistically, Team 8 scored 71 goals in 6 games with only 29 goals against. 2017 Team 8 Record: 20 wins; 7 losses!!!!! Kate also devoted a chapter in her book, Confessions of an Imperfect Coach, to Team 8. The Jamie McHenry Memorial Foundation pays for Team 8’s tournament entry fees and uniforms for all Team 8 players. On what would have been Jamie’s 18th birthday this year, December 7th, we hosted a balloon release at Centennial to reveal the new lacrosse bounceback wall that the foundation, with the help of UPS and Morel Contracting, donated to the school. We were thrilled to have Sue Schmidlkofer present to represent UPS’ $5,000 donation. 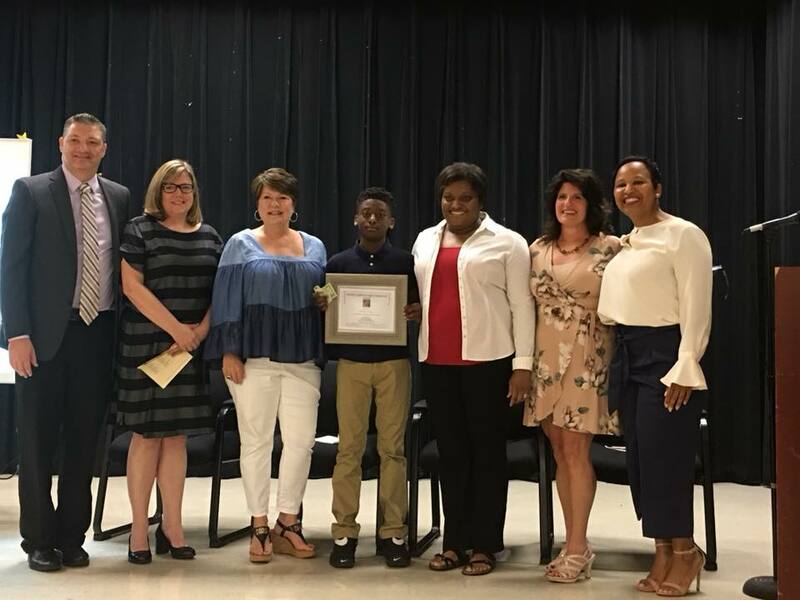 In May, we awarded two graduating students from both Hillside Elementary and Haynes Bridge Middle School with The Jamie McHenry Character Awards. 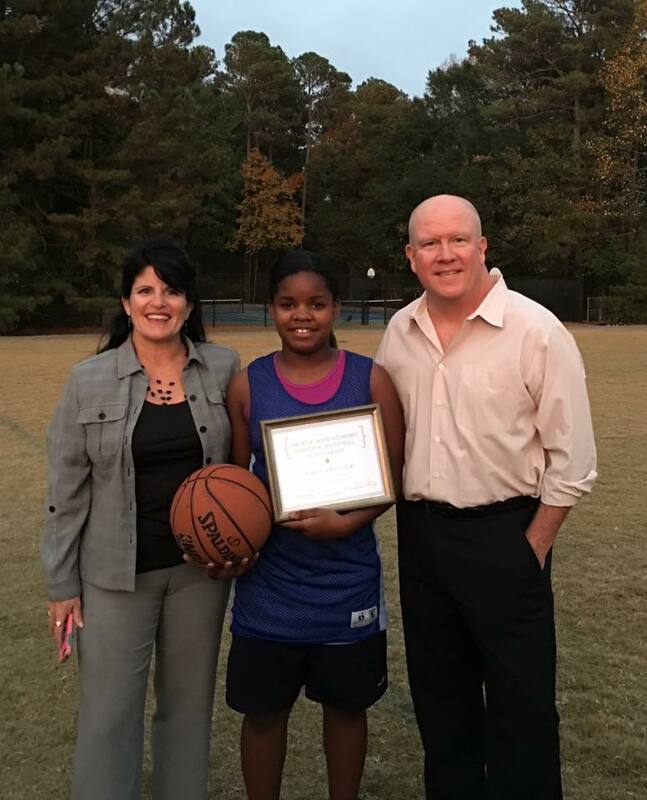 The students were selected by the faculty at the schools based on certain character attributes Jamie possessed, including leadership, being a team player and a good student. The recipients received a $200 cash for their award. The 2017 recipients were Joshua Young (Hillside) and Zoli Berencsi (Haynes Bridge).